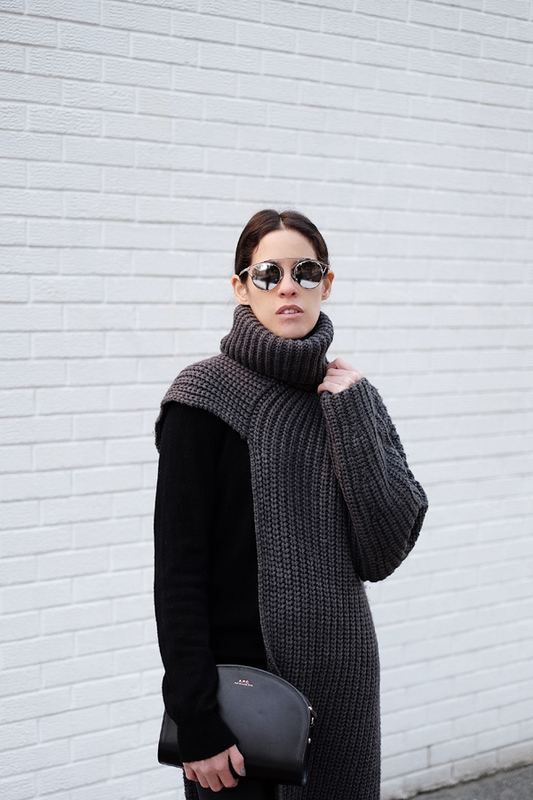 WEARING: THPSHOP Knit, Coach Sweater, APC Half Moon Bag, Dior Sunglasses & Spanx Faux Leather Leggings. Whenever I talk about starting afresh, going back to basics, I always end up in black jeans, tees, leather jackets, and sneakers or black boots. Some may find it boring, not me. I’ve come to realize you should always dress for yourself and do whatever makes you feel confident. Now and then you can mix things up, choose something that will pop against your all black outfit; this is where shades of different colours or textures come in to play. 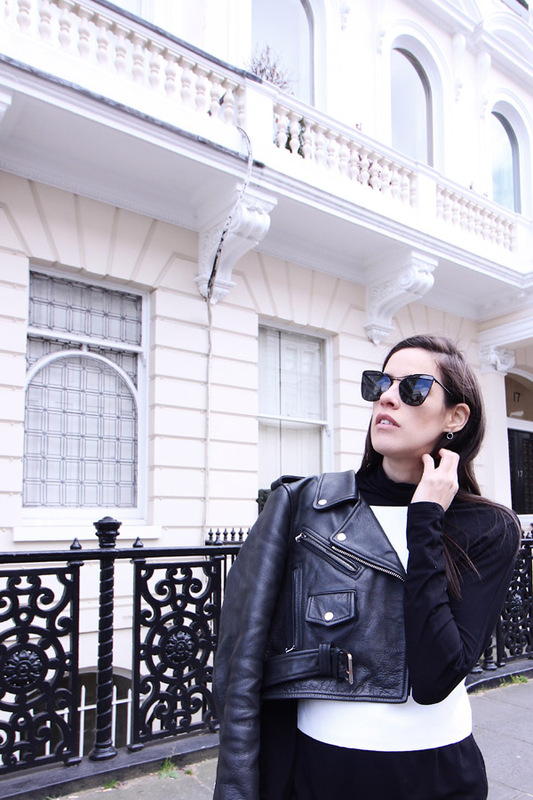 Here I am experimenting with new silhouettes, mixing colours, textures & layering to survive the cold weather. 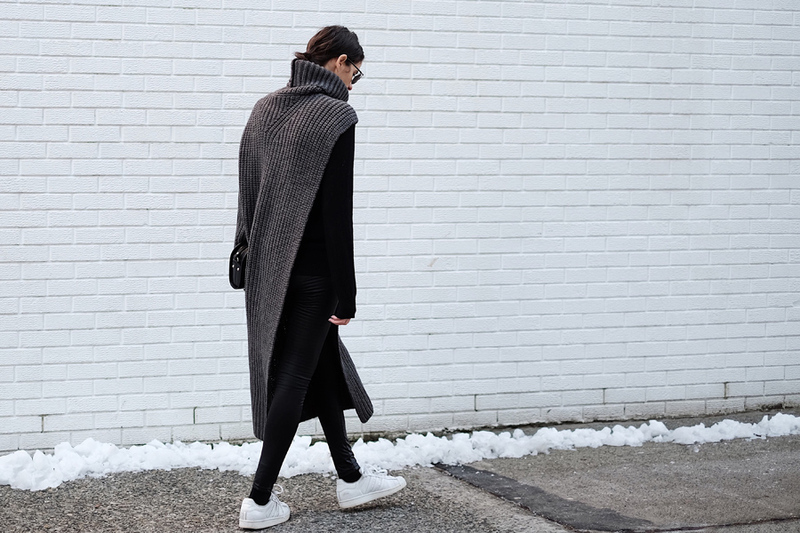 Thanks to this chunky knit by THPShop I can stay warm & stylish at the same time. Amen to that. Too many people follow trends, not many are brave enough to wear what they want and like. This looks so comfy and classy! That knit is so amazing! I love the asymmetry! This sweater is such a unique piece. It takes the basic outfit into another level!